The Forest Products Association of Canada (FPAC) is calling on the federal government to renew and replenish the highly successful Investments in Forest Industry Transformation (IFIT) program to help the sector further develop innovative breakthrough technologies. FPAC is asking for IFIT to receive an additional $500 million over the next six years, starting with a modest $25 million next year in recognition of the government’s tight fiscal situation, and then scaling up to $150 million for the final two years of the program. Canfor Pulp Products Inc. and UPM-Kymmene Corporation have today agreed on a strategic sales and marketing cooperation. Beginning January 1, 2014, Canfor Pulp’s sales network will represent and co-market UPM Pulp products in North America and Japan whereas UPM’s Pulp sales network will represent and co-market Canfor Pulp products in Europe and China. In the initial phase, the cooperation agreement will consist of six grades of market pulp and approximately one million tonnes of pulp sales from eight mills on three continents. By Norm MacDonald, MLA and opposition forest critic. The recent announcements by West Fraser Timber and Canfor that they would be closing mills in Houston and Quesnel are just the start of a very difficult period for the families and communities that rely on the forest industry. They may have come as a shock to the public, but it was in no way surprising to anyone who has followed the impacts of the pine-beetle epidemic on B.C.’s forest sector. So why is it that the provincial government, which is tasked with acting in the public interest, has done virtually nothing to prepare for transition? Why is there no tangible evidence that they have any plan to protect jobs and support families? BURNABY, BC – Taiga Building Products Ltd. today reported its financial results for the three and six months ended September 30, 2013. The Company’s consolidated net sales for the quarter ended September 30, 2013 were $344.9 million compared to $315.9 million in the same period last year. The increase in sales by $29.0 million or 9.2% was largely due to higher sales from US and export operations selling into the United States and Asian markets. The Alberta Forest Products Association (AFPA) announced that Craig Armstrong has been elected Chair of the Association’s Board of Directors. Armstrong replaces Jason Boucher as AFPA Chair. Mr. Boucher will remain on the Board, as the AFPA said in the press release received by Lesprom Network. Armstrong is the President and CEO of Millar Western Forest Products Ltd., based in Edmonton. 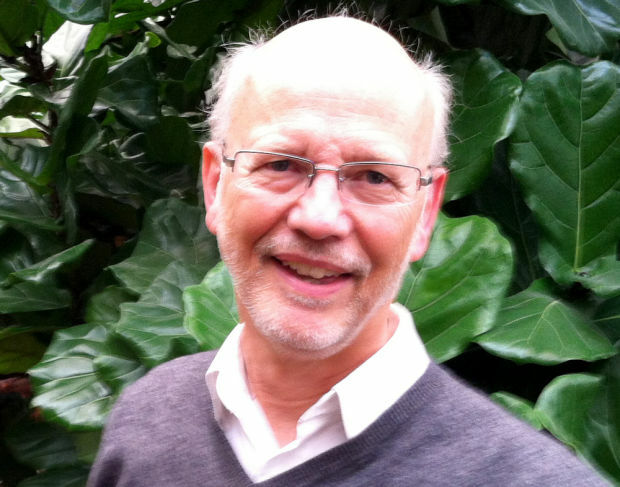 He has been with the company since 1987 and has more than 35 years of experience in the forest sector, including senior executive, operating and marketing positions. JACKSONVILLE, Fla.—-Rayonier Inc. announced today that on November 6, China’s Ministry of Commerce ( issued the following preliminary determination regarding the import of Rayonier dissolving pulp products into China: 1) Rayonier’s high purity cellulose acetate and other high purity products will not be subject to any duties as they are specifically exempted. 2) Rayonier’s lower purity Fibernier grade product used in commodity viscose applications will be subject to a 21.7 percent interim duty effective November 7. NewPage Holdings Inc. on Thursday reported net income for the third quarter of 2013. Net income in the third quarter of 2013 was $21 million compared to a net loss of $47 million in the third quarter of 2012, the paper producer said. For the nine months so far in 2013, the Miami Twp.-based company reported a net loss of $3 million compared to a loss of $86 million for the same point in 2012. BC Timber Sales (BCTS) has decided to drop the cutblock known as the Roberts Creek headwaters ancient forest from its future harvesting plans, BCTS planning forester Norm Kempe has confirmed. The 15-hectare cutblock, designated as DK045, had been removed from the current timber sale for Mount Elphinstone after a team of scientists identified “unique ecological/cultural attributes.” “We did that in late August, and as a result of that and concerns we heard from the public, we decided to let this one go,” Kempe said Wednesday in an interview. 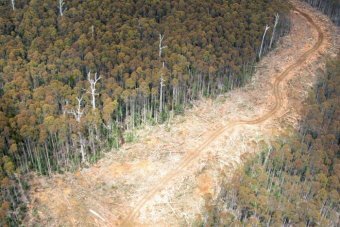 VICTORIA – Effective immediately, the allowable annual cut for the 100 Mile House timber supply area (TSA) remains at 2.0 million cubic metres. After five years, the allowable annual cut will decrease to 1.0 million cubic metres for an additional five years. In her decision, deputy chief forester Diane Nicholls specified that no more than 0.5 million cubic metres of the allowable annual cut can be harvested from live trees. Mountain pine beetle populations have peaked in the 100 Mile House TSA and the infestation is now collapsing. The following letter was sent to forestry Minister Steve Thomson and copied to Coast Reporter. I am shocked to hear that a quarter of the land base of Gambier Island (including the lands around Gambier Lake) is about to be turned into logging zones, without public consultation. Stakeholders from the public, business and industry are working together with local, provincial and federally elected people on a planning initiative for Howe Sound that would deal with this issue. Yet your staff at the Ministry of Forests, Lands and Natural Resource Operations are ignoring the public’s requests for dialogue. The U.S. Forest Service actively recruits eligible veterans for multiple occupations. Currently, veterans make up over 12 percent of the Forest Service workforce. The agency values the experience, commitment and work ethic that veterans bring to the job, as well as their significant skills and abilities. Two programs are of particular importance to veterans who are seeking an opportunity to get their boot in the door and improve their chances of being hired by a land management agency. NASHVILLE, Tenn. — The Tennessee Department of Agriculture says a walnut tree killing disease has been found in Morgan and Rhea counties. The counties are now under quarantine due to Thousand Cankers Disease, which is transmitted by walnut twig beetles. Residents are not allowed to move walnut tree products and hardwood firewood outside the quarantined counties. …Thousand Cankers Disease can kill a tree within two to three years after initial symptoms are detected. While Taos County hasn’t experienced a devastating wildfire in more than a decade, it’s the kind of catastrophe our entire community should be working to prevent. 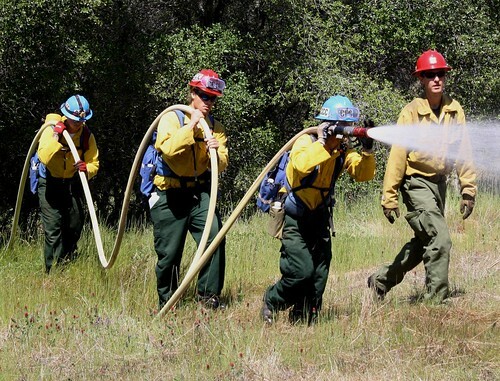 Last month, crews with the Carson National Forest used a prescribed burn to treat a small section of the woods, limited money and manpower mean the Forest Service has scaled back these kinds of projects in recent years. That’s foolish. Instead, we think a lot more federal, state and local resources should be going toward exactly these sorts of preventative burns. Two people who formally objected in October to the plan to log along the city of Helena’s Red Mountain Flume explained their concerns to U.S. Forest Service hearing officials on Wednesday and outlined possible ways to alleviate them — which basically involved either scrapping the project or doing a full-blown Environmental Impact Statement and developing additional alternatives. Steve Kelly with the Montana Ecosystems Defense Council and Sara Johnson with the Native Ecosystems Council say the project is unnecessary and amounts to clearcutting a portion of the Upper Ten Mile Watershed west of Helena, which is where the flume is located on Forest Service property. The Oregon Department of Forestry is seeking public input about a property acquisition that could incorporate 29,000 acres into the Gilchrist State Forest. The 60-day public comment period began Nov. 5 and will close Jan. 3. A public hearing will be Dec. 5 in Klamath Falls, according to an ODF press release. 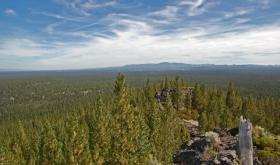 The proposed acquisition includes a 3,000-acre parcel privately owned by Central Oregon Land Holdings and a 25,453-acre parcel owned by the Conservation Fund, the press release said. FORKS — The state Department of Natural Resources is taking public comment on the revised draft environmental impact statement for the Olympic Experimental State Forest land plan and has set a public meeting in Forks later this month. …The revised plan examines the potential significant impacts to the environment from two management alternatives being considered for the 250,000 acres of state trust lands on the west side of the North Olympic Peninsula in Clallam and Jefferson counties. The spectacular display of dysfunction that led to the recent government shutdown and the nation’s near-default offer a pretty clear reminder of the pitfalls of all-or-nothing politics. That’s something we know all about. As Montanans active in forest-management issues, perhaps we’ve never matched the enormity of the impasse in Washington, D.C. But we’ve certainly learned that all-or-nothing generally leads to nothing. And, in marked contrast to the hardball negotiation tactics employed by Congress and the administration, we have learned that collaboration produces better results than confrontation. A top U.S. Agriculture Department official praised a South Carolina pilot program Thursday and said it could be a model for keeping millions of acres of Southern forests in the hands of black landowners. “I would hope that this could be replicated throughout the country,” said Joe Leonard Jr., the assistant secretary of agriculture for civil rights, who visited rural Ridgeville to learn what the nonprofit Center for Heirs’ Property Preservation is doing to help black landowners manage their forest land and realize value from it. MADISON — The Wisconsin Department of Natural is seeking public feedback on interim forest management plans for five state properties. The plans will allow timber taken off the properties to continue to be certified as sustainably managed until formal master plans are finished. The properties include the Waunakee Wildlife Area in Dane County; the Albany Wildlife Area in Green County; The Moose Lake State Natural Area in Iron County; the Spring Creek Wildlife Area in Price County; and Kohler-Andre State Park in Sheboygan County. Forestry Tasmania has appointed an auditor to help it win crucial Forestry Stewardship Council certification. The tick of approval is needed under the forestry peace deal to reduce native forest logging in the state and end the decades-long forest wars. The state-owned company says it aims to get the highest level of certification available and is on track to win certification by April 2015. But spokeswoman Suzette Weeding says some areas of forests will need to fall under a different category.